I love this feeder! I have a similar one with two suction cups that is always falling off the window. This one stays on and the birds love it too! My order arrived quickly, packaged well and is a quality product. 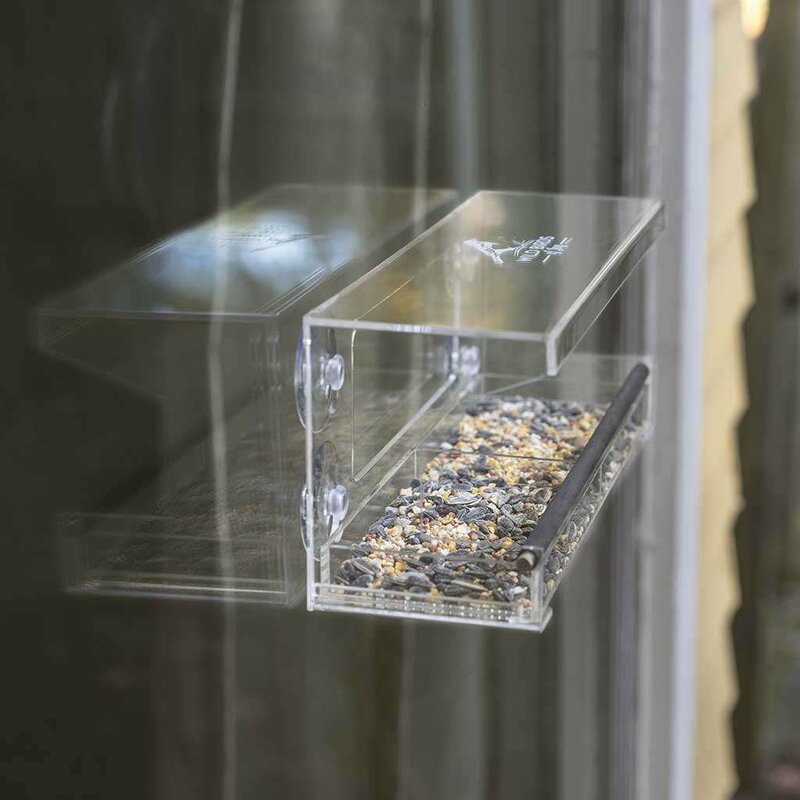 I really love the slide out tray for the convenience in refilling the birdseed. 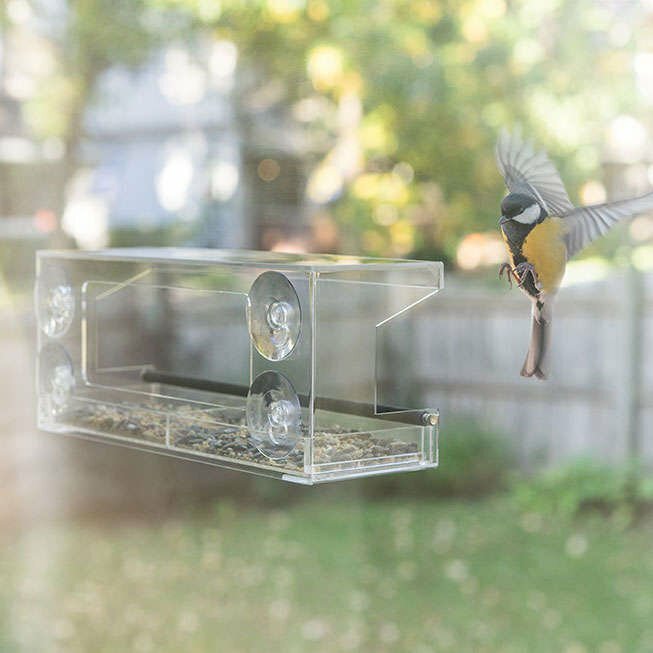 I've already seen a nice variety of birds using the feeder. It’s fun to watch them up close! 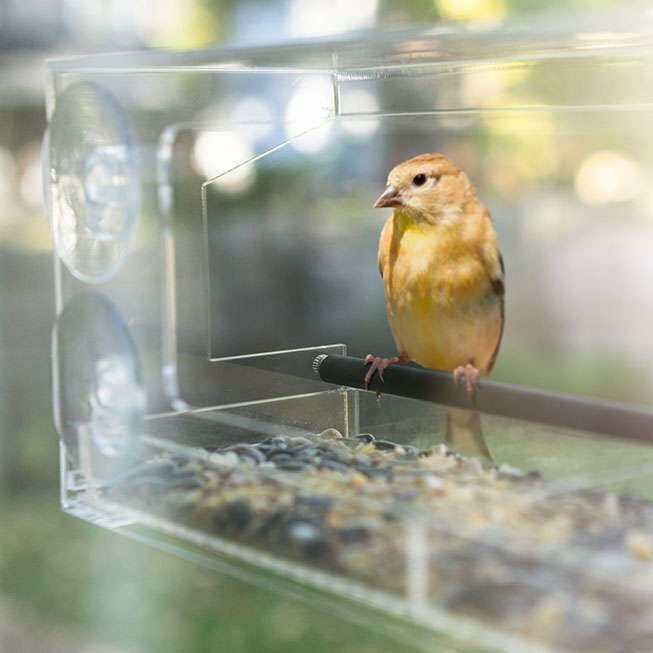 We absolutely love this feeder. My kids are excited to be able to see the birds up close now. Our other feeders are not visible from our kitchen table.